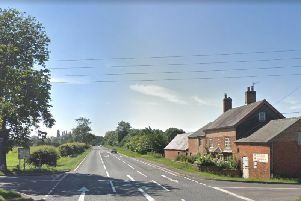 Police are appealing for witnesses following a fatal road accident in which two people from the Harborough district died. The two people who died were today (Tuesday) named as Guy Marriott, aged 25, from Theddingworth, Leicestershire, and Sophie Griffin, aged 22, from Lutterworth in Leicestershire. The accident happened on the A5199 Welford Road, between Thornby and Creaton in north Northamptonshire, on Sunday, April 9. A blue Vauxhall Corsa was in collision with a blue Hyundai I40 and a white Peugeot Partner van at about 8.45pm. Mr Marriott was the driver of the Corsa, and Ms Griffin was one of the passengers in the same car. Both died at the scene. Two further passengers in the Corsa and the driver of the Hyundai were taken to hospital with suspected serious injuries. Witnesses to the collision, or anyone who may have seen any of the vehicles prior to it, are asked to contact the Serious Collision Investigation Unit on 101 or call the Drivewatch Hotline on 0800 174615.